Registered in 2014 New Tyre installed 5 to 6 months ago 2 pcs touch up both bumpers colored original LCD available Remaining amount of due for lease and installment amount is given approximately, it could be changed slightly, confirm amount could be given on request. 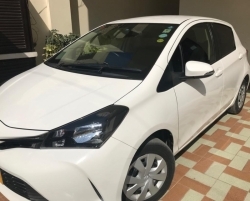 Vitz 2014 Pearl White Color In New & Excellent Condition. 4000 Driven After Registered In Karachi. Reg 2018 June. Original File, Cplc Clear, Auction Sheet Available. New Youkhama Japanase Tyres Installed, Best Quality Alloy Rims Installed, Leather Best Quality Seat Covers Installed, Best Quality Back Speakers Installed, Fog Lights Installed, Driven On High Power Petrol Since Registered. 100% Original Condition With Guarantee. Please No Foolish Demand, Only Serious Buyers Can Contact. 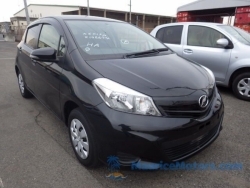 Can Be Exchange On Toyota Axio 2007 To 2012 Model. 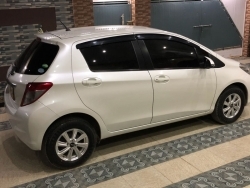 Toyota Vitz 2008, Reg 2010 Dark Blue color alloy rims installed. 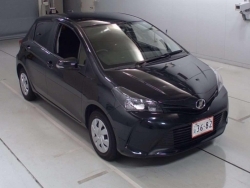 Toyota Vitz F model 2015, grade 4. Model 2007 registered 2011... Back camera... 2nd owner car.. engine change 1.0 to 1.3... Alloy Rims. Original Book is available. Fully maintained through authorized dealership. Original return file is available. Non accidental. All token taxes are paid to date. Totally driven on petrol. Paint touch ups in a few places. ABS, AM/FM Radio, Air Bags, Air Conditioning, Alloy Rims, CD/DVD Player ,Power Locks ,Power Steering Power Windows. Call/SMS in office hours only. 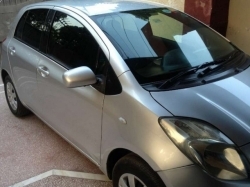 I am selling my toyota vitz 2012 model silver color automatic transmission with rear camera and alloy rims. The car is bank leased. Two years payment remaining . Documents will be cleared from bank in 2 working days after payment. Only serious buyers contact. Car is in mint condition. 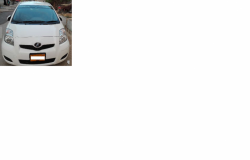 I have Toyota Vitz Model 2009 Registered in 2013 (white color). Excellent engine and interior conditions with air bags facility and DVD player including central locking system. Front and rear bumper having scratches / slight damage. I am first owner having Original file and all customs documents / verified form Japan with respect to running of KILOMETERS and conditions which having 4.5 Grade. Vehicle is used by myself only. Tax is paid till DEC-2015. Genuine buyers may contact. 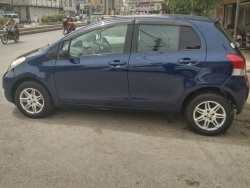 Vitz 2003 registered 2006 blue color, FL Grade package tax paid till Dec 2015, car on my name. CPLC cleared. Ac chilled, CNG, low profile Alloy rim and tyres. Car is fully original condition. Just minor chup up on one door, never accident. No dent. If anyone don't need rim tyres so price can also reduce. Please come and see my car. Exchange also possible with honda city 2007 to 2010. Location dha phase 5 zamzama.